March 14th, 2019 - Does My Bomb Look Big In This? 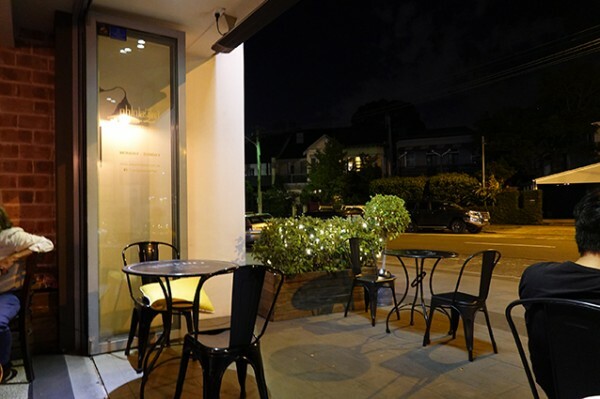 With Restaurant Moon recently reinvigorating my interest in Thai food, a well-timed mailbox menu pamphlet saw me head in to Pepper Seeds in Balmain. 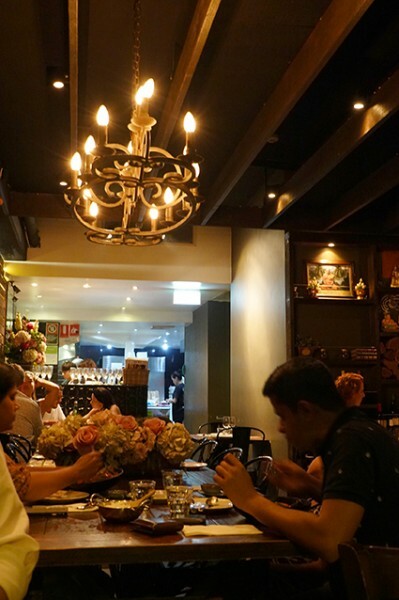 The flyer indicated they had a few dishes that extend beyond the usual suburban Thai standards. 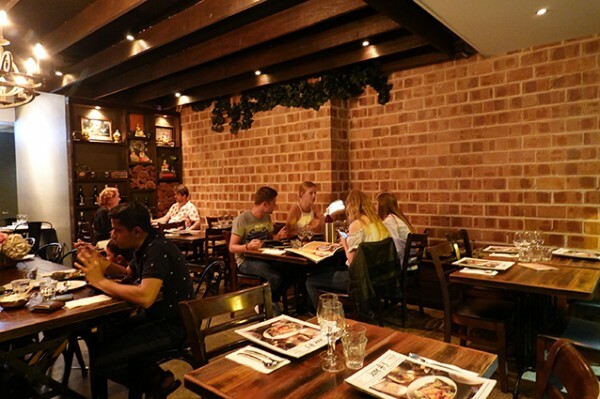 The restaurant, set on a quiet bend in Darling Street, takes up the ground floor of a narrow two-storey terrace. 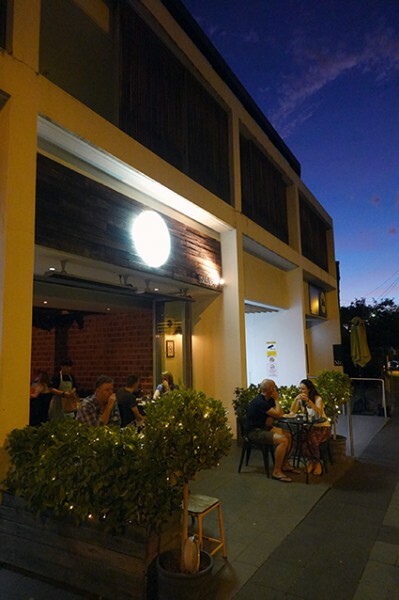 It’s kept wide open to take advantage of the balmy autumnal evening, allowing diners to appreciate the star filled sky. 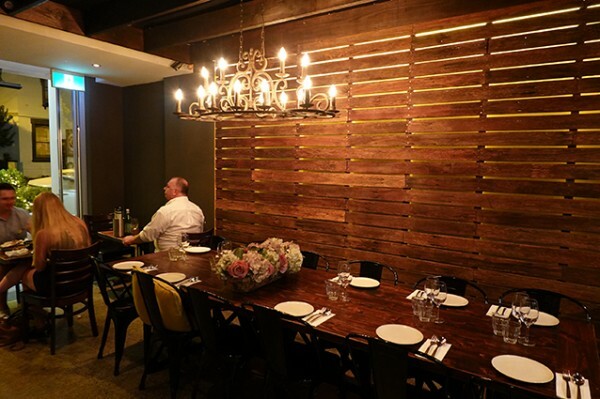 Inside, low rafters are made into a feature with a metal shabby chic chandelier hung over the long central table. One wall is paneled with wood, while the other is left as bare red brick. The lighting is low and moody, in contrast to the service, which is sunny and sweet. “The mussels we make with a basil sauce inside,” our waitress volunteers when we show an interest in the menu cover photo, a dish called Mussel Delights ($19.90). 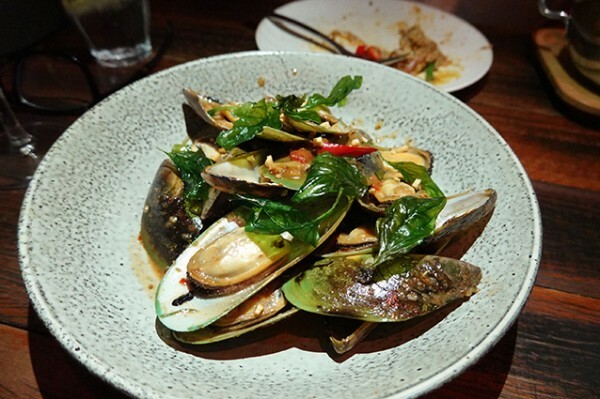 The resulting dish sees New Zealand green lipped mussels remain the briny heroes against a bright blend of basil leaves, garlic and red chillies. It’s an excellent dish, and I can see why it was chosen for the cover shot. Even with English as a second language, our waitress is able to answer menu queries; offering us any dish we like as hot. “Spicy is better,” she nods with approval at our selection. I’m pleased when our Egg Net ($12.90) arrives with a dipping sauce that’s laden with red chillies that are genuinely hot. 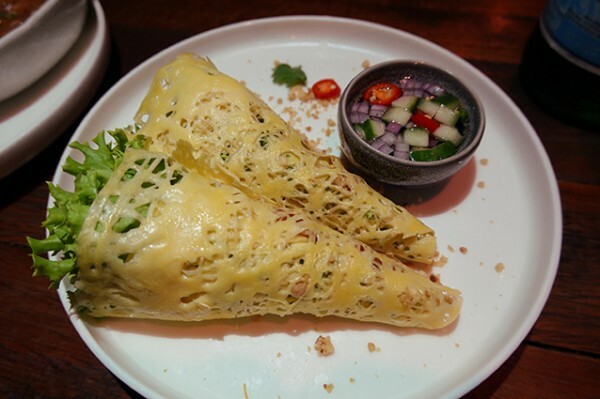 The texture of the golden, egg lace omelette is lovely and light; and the chicken, prawn and peanut interior is tasty and fresh. 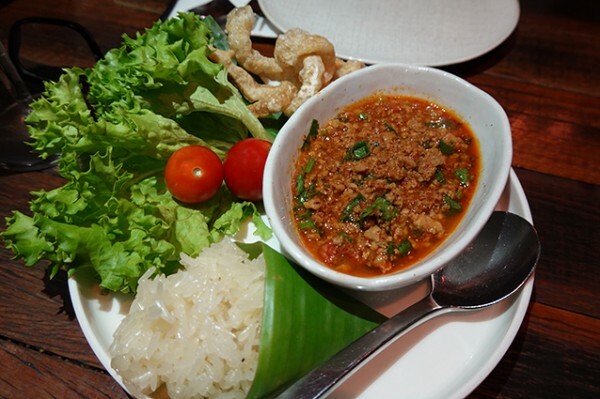 We team it with Khan Toke Lanna ($9.90), a Northern Thai dip made from dried chillies, pork and tomatoes. 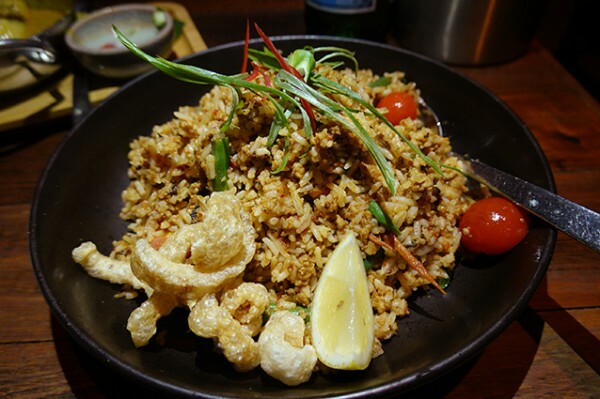 We enjoy exploring it across a range of dipping ingredients - a cone of sticky rice, cherry tomatoes, lettuce leaves and twists of pork crackling – against the Peter Yealands Pinot Gris ($39/bottle). It’s our second pick (the first was unavailable) from the short but reasonably priced wine list. While the rice itself in the spicy-pork flavoured Lanna Fried Rice ($15.90) is a bit claggy, the juicy green snake beans dotted through it, are perfectly cooked. We enjoy our rice with the turmeric-based chicken curry, Gaeng Garee ($19.90). 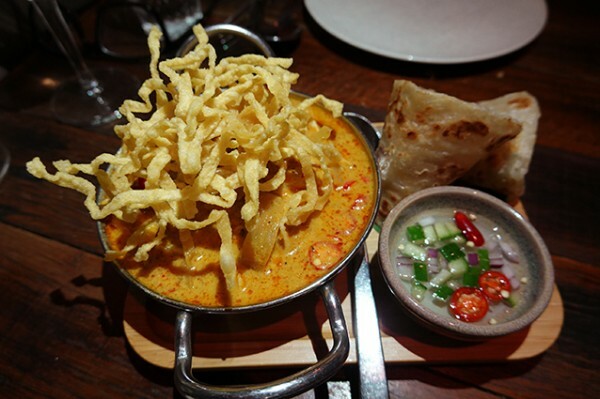 It’s a beautifully presented curry topped with a crown of crispy egg noodles and accompanied by two neatly rolled roti to soak up the rich coconut gravy.